The clean user interface is available with a large icon only available for Windows. You can easily access the phone storage to manage media, files, counts and messages. 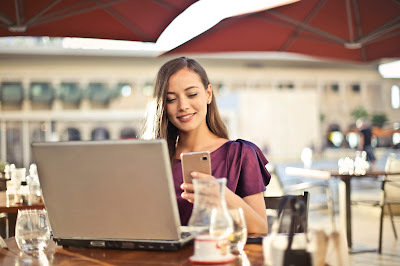 You can send messages to more than one person, using your personal computer, with the help of your phone, the app manager uses your desktop internet connection to download the app from Google Play. Also installs the downloaded app to your smartphone and that too without any charge. You can also take full backup of your Android phone in your PC as well as re-store it as needed. This service can prove useful to manage your content. One of the most powerful powerful desktops, Moborobe Android and iOS can work with both devices. You can view your contacts, messages, apps as well as in the multimedia files through the main window. You also see battery level, firmware and available storage in the main window. You can also easily take a screenshot through the connected device and also save it on the desktop. You can reply to the message using the software. Install or remove apps and send data to multiple devices. SnaPea is one of the few Android desktop management tools available for Windows and Mac. It has a browser based version which works like a few airdrides. You must first install the free app on your phone and then access the phone on Wi-Fi in your browser window. Install and remove apps, view phone contacts, edit them, and exchange them. Are there. You can exchange files between PCs and smartphones. SnapPea can also import music from the iTunes library and sync it to the smartphone. If you have to manage the ad device from your Posey, then the AirDride 2 is the favorite app. You can access your entire phone from the browser window, even if your phone and PC are not on the same WiFi network. You can read, send, send incoming calls, manage contacts, transfer files, install and delete apps, create ringtones, send url link to phone Can. Can know in the location of the phone. You can also see the front / rear camera view of your phone. In this you do not need to install drivers on your PC nor to find cable for the phone. The free light version of this tool is limited and only facilitates access to basic functions. You can connect your phone via Bluetooth, cable, wifi. Apart from working with all the smartphones, it can also work with some feature phones. You can get information about your device, send messages, install the necessary updates from your PC on your device. You can exchange files between smartphones and PCs.